THE FUTURE of historic Lady Elliot Island Lightstation has been secured, with marine managers releasing a comprehensive plan to protect the important heritage site. The Lady Elliot Island Lightstation Heritage Management Plan outlines how visitors can minimise their impact on the 139-year-old lightstation and the unique natural environment around it. Russell Reichelt from the Great Barrier Reef Marine Park Authority said the island had a unique place in Queensland's history and the highest seabird diversity of any island within the Great Barrier Reef. "Lady Elliot Island is treasured by locals and visitors alike, and the Lightstation Heritage Management Plan is important in ensuring the heritage values are preserved," he said. "An important factor in protecting this valuable heritage place is to foster a culture of understanding and stewardship amongst visitors to the island, so they take care around the site. "Lady Elliot Island is also a valuable nesting site for seabirds and green and loggerhead turtles so it's important that visitors minimise any impact on these treasured species." Built in 1873, the lighthouse is a significant landmark and, along with the island, marks the southernmost point of the Great Barrier Reef. It was only the third lighthouse built by Queensland authorities and was the first built offshore within the Great Barrier Reef. 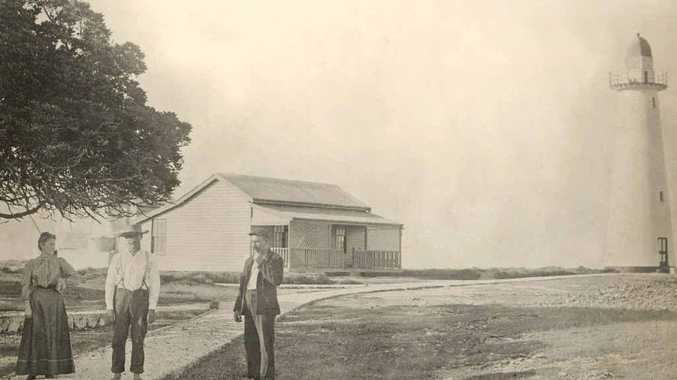 The lighthouse was also the prototype for a unique style of lighthouse developed in Queensland and now demonstrates the way such lightstations were developed and changed over time. The lighthouse forms an integral part of history in aiding navigation along the Queensland coast through the Great Barrier Reef. The Lady Elliot Island Lightstation Heritage Management Plan is available via http://www.gbrmpa.gov.au.